For me, as a mom it is all about getting the kids in the kitchen with me. Now, I know I am fortunate because my children love to be in the kitchen and cook with me. Most of the time it is me telling them no because I just want to get the meal fixed. But then we have those nice and slow family days where it isn’t rushed and I can include them in the making of their meals. 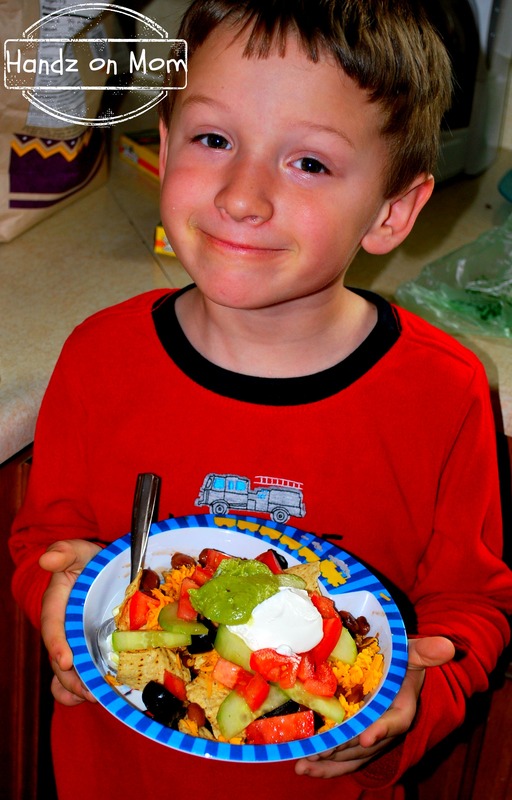 Getting kids to eat a balanced diet has to be one of the hardest things as a parent. I know that there are days when my kids live on string cheese and crackers but then there are days where they have something like a haystack that gets the veggies in and they have fun ‘playing’ with their food. The fun of a haystack is that you can make it for your family or for a particular child. Here is the base for the haystacks that my family loves. My kids love being in the kitchen with me and when they get to help make the meal they get even more excited. I have learned that being ready is really important. When you have things set up, it makes the transitions much easier. So, before my kids helped me with the haystacks I set up their stations for them. 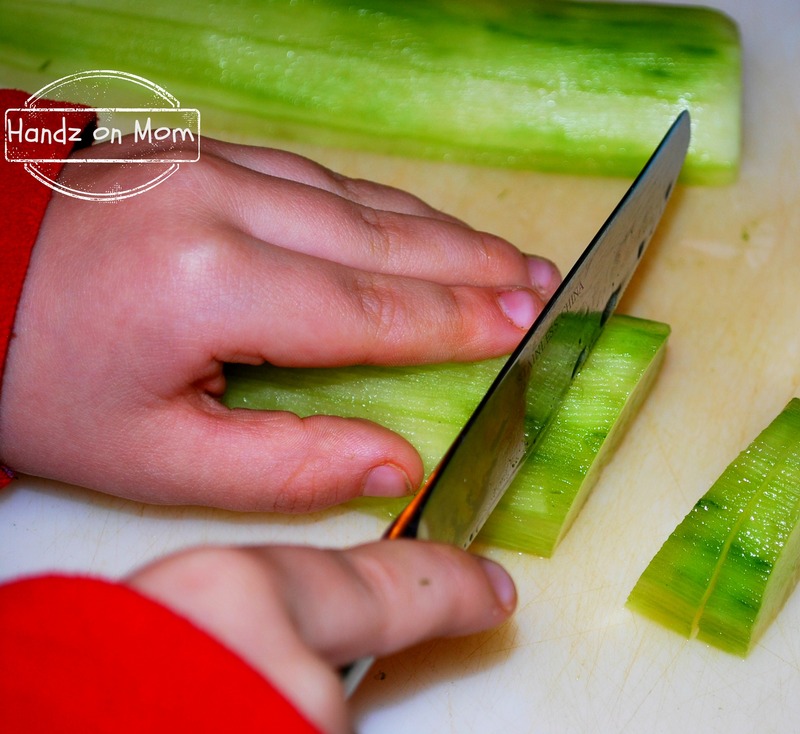 I have found that having the kids in the kitchen is allowing them to learn how to handle kitchen utensils safely and in the correct way, giving them some practical life skills. Lately, we have worked with the firefighter on his fine motor skills. When it came to choosing which vegetable to fix he chose peeling the cucumber. Handling the peeler and the cucumber helped him with his hand-eye coordination. 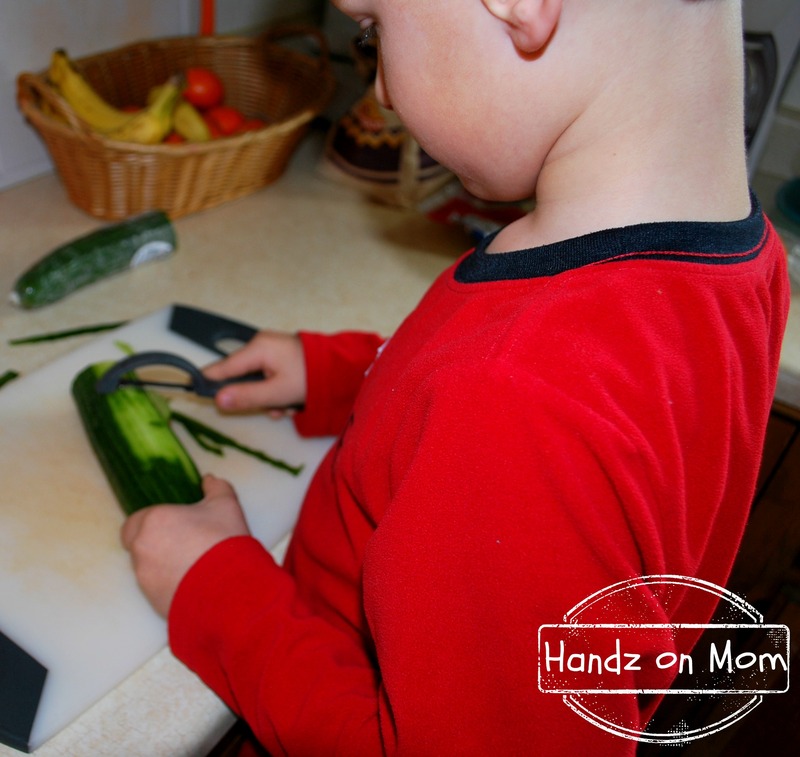 While peeling the cucumber helped with hand-eye coordination, cutting the cucumber helped with the fine motor skills and he learned how to hold the knife and keep his fingers away from the sharp edge. 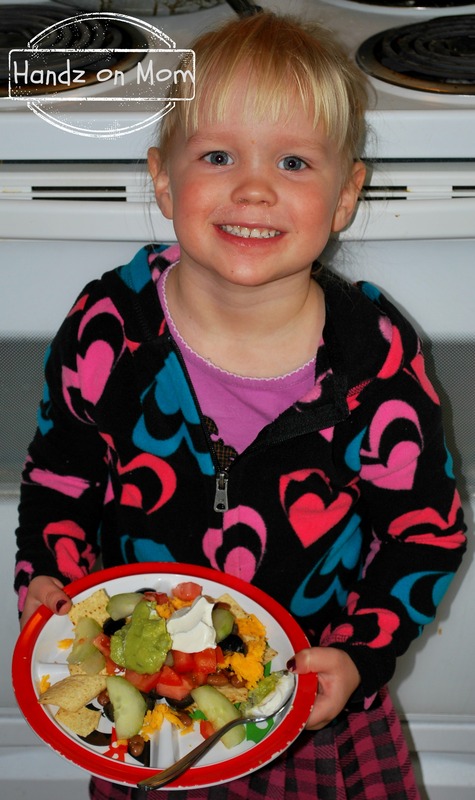 While the firefighter claimed the job of chopping cucumbers, the princess chose to cut the black olives. At the moment, including the princess in kitchen activities is to just get her familiar with safety practices and the utensils that are used. 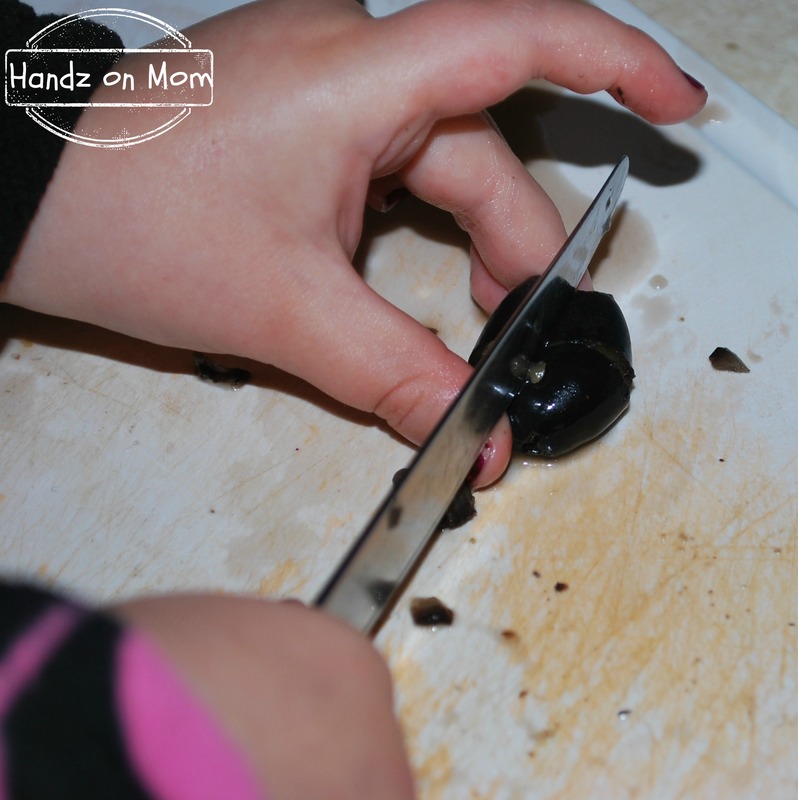 Having her cut black olives with a butter knife allows her to feel grown up, helpful and gets in some hand-eye coordination practice as well! Now, I am a relaxed mom. I don’t hover over my kids and like to let them use as many real life things as they can and still be safe. I am the mom that doesn’t mind the mess that sensory play can make or the lumps of play doh that can be found with bare toes. Even with all that I am nervous about my children learning how to grate cheese. Maybe it is because of the many times my knuckles have come in contact with the sharp teeth that makes me this way. The princess has her eye on the cheese and the grater from the start. 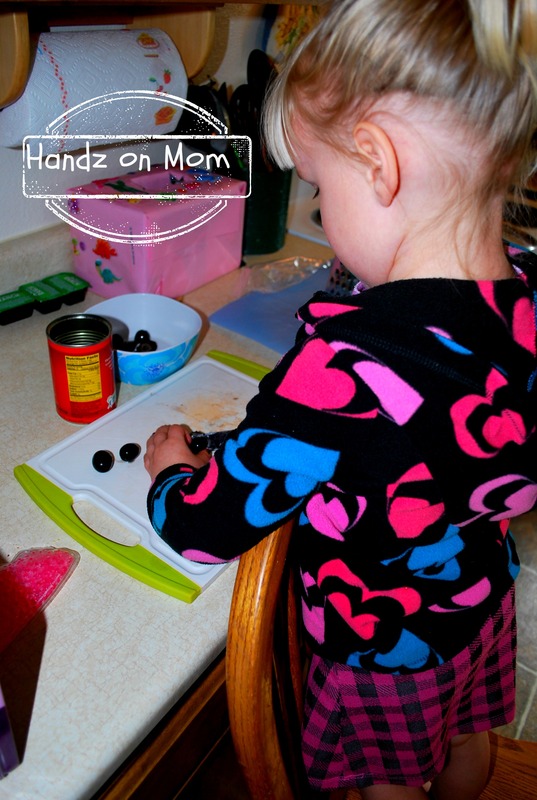 I had to agree to letting her help me just to get her to cut the olives. The concentration that she had as she grated the cheese was very impressive. 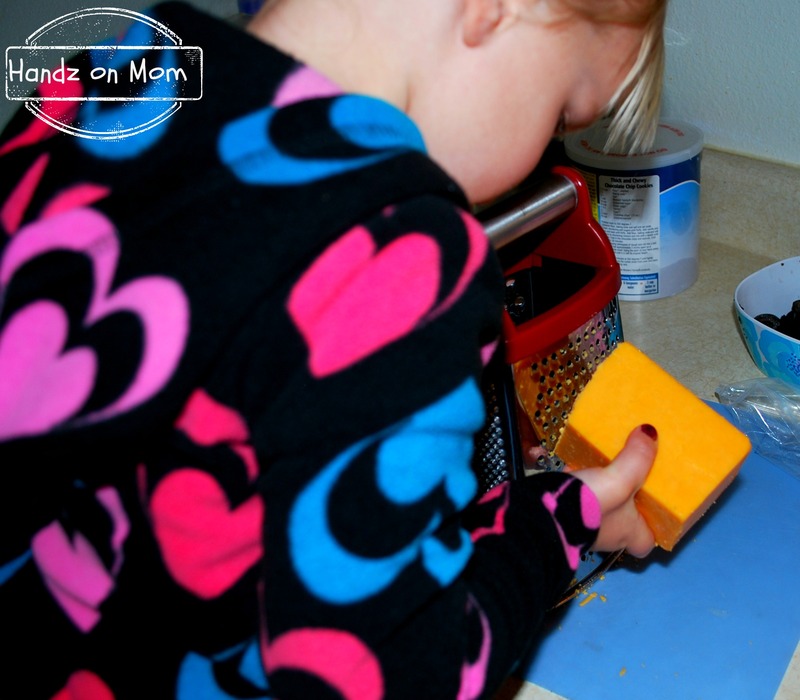 She was very careful and meticulous about how she held the block of cheese and grater so her fingers didn’t get hurt. The look of satisfaction on her face and squeal of excitement when she finished the task was the best aspect of the process. 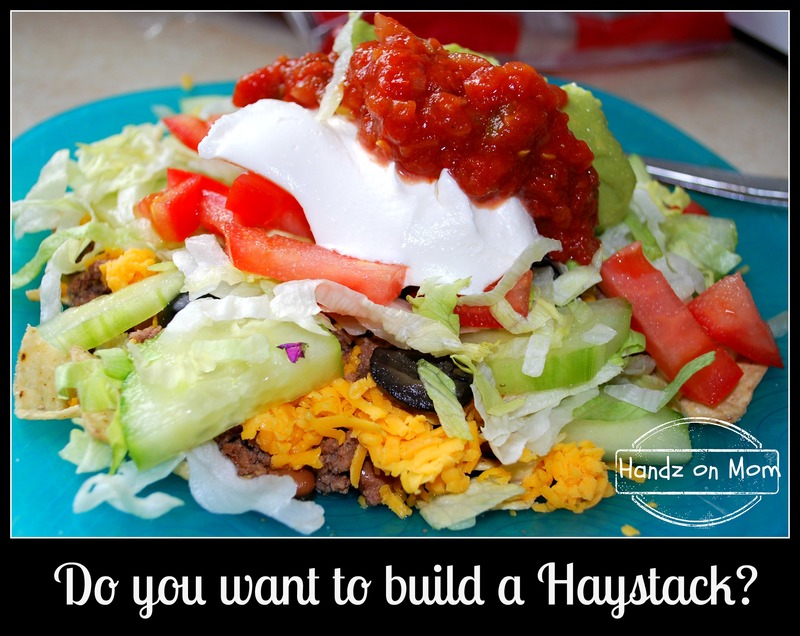 Besides getting your kids in the kitchen, making haystacks allows everyone to make their own. It allows those who are picky to eat picky but doesn’t hinder those that enjoy more variety in their meals. Each of my children like their haystacks different. The princess enjoys a bit of everything. While the firefighter prefers a more bland approach to his food. 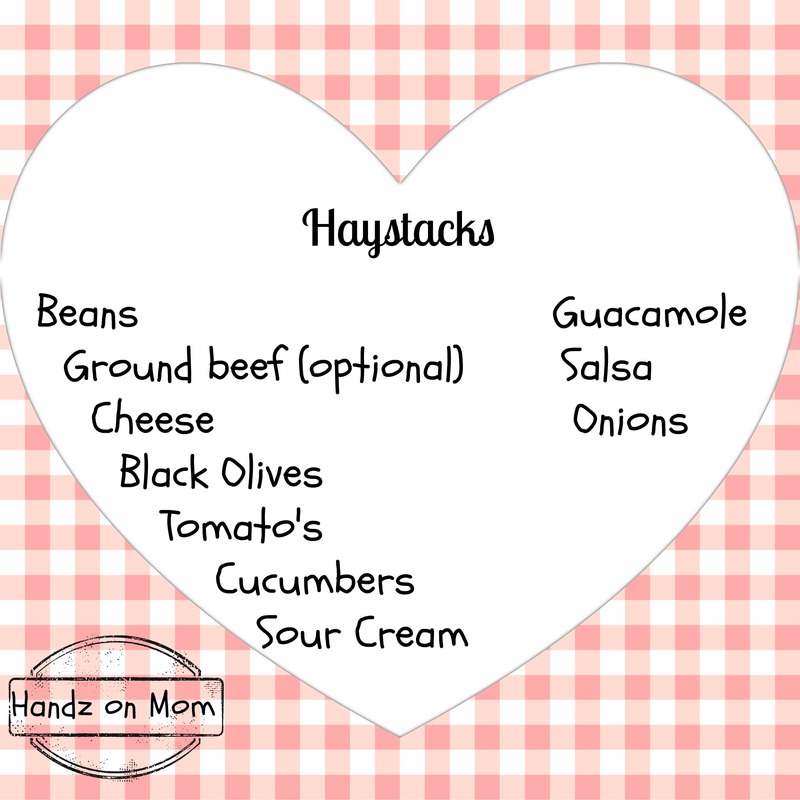 For me, it is all about getting my kids to eat a variety of food, even if that means having them build a haystack!